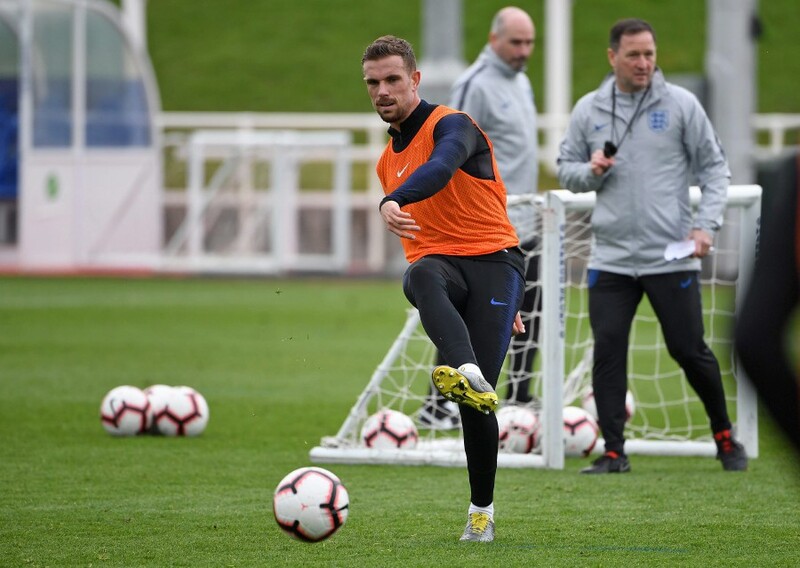 LONDON: Jordan Henderson says England are ready to fulfil the growing expectations around their vibrant young team as the Euro 2020 qualifying campaign starts with the Czech Republic’s visit to Wembley on Friday. Gareth Southgate’s squad are back together for the first time in 2019, with the Czechs their first test before a trip to Montenegro for the second qualifier on Monday. For the first time in years, there is a sense England can emerge as one of the main contenders for international football’s top prizes. After reaching the World Cup semi-finals for the first time since 1990, England rounded off a memorable 2018 by defeating Spain and Croatia to reach this year’s inaugural Nations League finals. While that stands as impressive progress for England after decades of underachievement, Liverpool midfielder Henderson is confident the best is still to come for Southgate’s men. Two more youngsters, Chelsea’s Ruben Loftus-Cheek and Liverpool’s Trent Alexander-Arnold. were also in the original squad but have dropped out injured. Another of Henderson’s Liverpool teammates, Joe Gomez, has won six England caps but is recovering from a broken leg. “It is good, those younger players have so much talent. It’s good for England because I can see in a few years we are going to have big, big players,” he said. “Young players who are maybe only starting now who are going to be more experienced and even better in a few years. “The future is bright really with all the young players coming through and how well they are doing, that’s really good for England. Southgate’s job has been aided by the rapid progress of the young English players under the astute guidance of Jurgen Klopp at Liverpool, Pep Guardiola with Manchester City and Mauricio Pochettino at Tottenham. “I’m good friends with Raheem as you know. I played with him at Liverpool and speak with him regularly. When I first came in this week we had a bit of banter. But your focus has got to change,” he said. “We’re teammates at the end of the day, and what’s important to us now is the next two England games. England will be expected to qualify for Euro 2020 with few alarms as they aim to make an impact at next year’s tournament, which includes several games at Wembley. But Henderson warned that England’s recent rise makes them a prize scalp for underdog opponents like the Czech Republic and Montenegro. “Expectation will change and things like that, but that is good for us, as long as we know what we want to do and achieve as a group that will be really important,” he said.